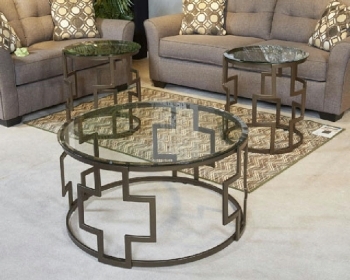 Frostline coffee table set takes a cool twist on contemporary style. 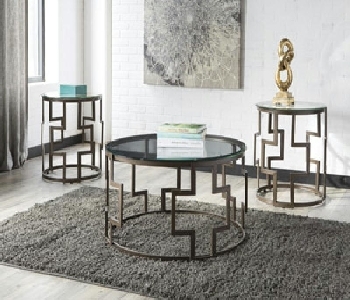 Drum form metal bases sport a graphic keyway design that?s so striking. Clear glass tabletops naturally enhance the open and airy mood.